NASA has begun development on a new system that could revolutionize humanity's search for new planets like our own. The combination of these two devices is a first of its own, allowing for broader spectral analysis, a crucial element in judging a planet's atmospheric makeup and potential for hosting life. "[The VNC] will be more sensitive for finding fainter planets," says NASA fellow Brian Hicks. 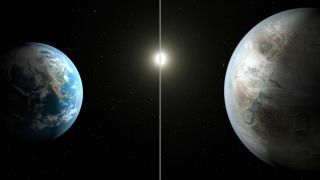 "It also will enable spectroscopy, which is what NASA will need to study the atmospheres of exoplanets to identify signatures of water, oxygen, carbon dioxide, methane and ozone - the chemistry we associate with habitability for life as we know it." There is still work to be done before the VNC can be used on a mission in the great unknown, but the development of the VNC marks a major milestone in NASA's trek towards exploring more of the cosmos. You can read more about the VNC, its development and function, and what NASA plans to do with it next on its official website.